TDP Recording moves forward: Name That Tune! Concordia Publishing House needs your help naming a new product. Since Treasury of Daily Prayer was released from CPH in Fall 2008, we have received many requests to record the various prayer services. The Kantorei is a choir of sixteen male voices from the student body of Concordia Theological Seminary, Fort Wayne, Indiana. The recordings have been prepared to allow an individual, family, or even a small group to have the support to confidently sing the liturgy of the prayer services. While this will be a wonderful complementary product for the users of Treasury of Daily Prayer, others who desire to connect their personal devotion time to the Church’s pattern of prayer will find this to be a rich and meaningful resource. So get creative and send us your best suggestion. The poll is open through Friday, October 9, 2009. Give Concordia your ideas. Click here to got to the survey. 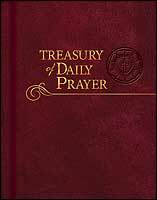 You can also visit Treasury of Daily Prayer on Facebook and hear a sample in the Links area. 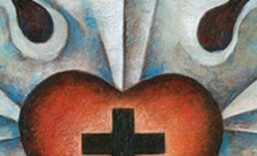 This entry was posted in Treasury of Daily Prayer and tagged prayer, Treasury of Daily Prayer. Bookmark the permalink.